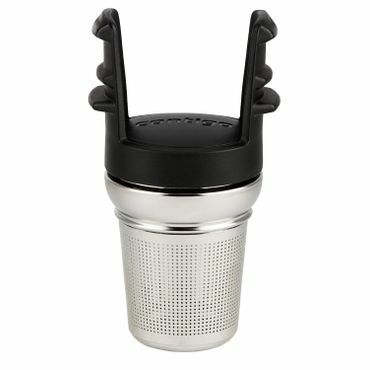 Bottom Line The Contigo West Loop Stainless Steel Tea Infuser converts the well-reviewed <product nid="1677867">Contigo Autoseal West Loop Travel Mug</product> into an on-the-go teapot. Reviews say the infuser is simple to use and gives good control over the brewing process. The drip cup that holds the infuser after removal is a handy feature.